Limit 1 per person. Valid for pickup and delivery of power equipment such as tractors, mowers and snow blowers. Not valid during May or June. Promotional value expires 365 days after purchase. Advertising solicitation prohibited. 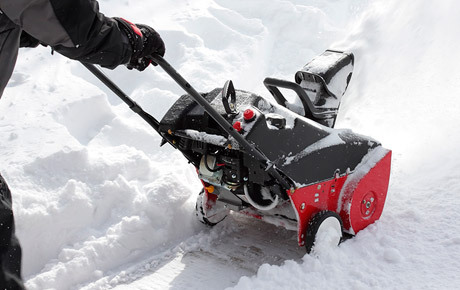 Put an end to procrastination and tackle that big project you’ve been putting off with this deal for 50% off power equipment pickup and delivery from Prairie Power Center in Sun Prairie ($65 value). Renting or repairing tractors, mowers and snow blowers is much more affordable when you don’t have to worry about transportation costs. In business for five years, Prairie Power Center is the epitome of family-owned and operated businesses. Owner Duane Nolden created Prairie Power Center with the hope of helping his community accomplish their land and home improvement tasks easily and with more accuracy. Alleviate some stress and save yourself the cost of equipment transportation with this sturdy deal.